Green Arrow #12 variant cover. Out this May from DC Comics. Gracias majo. No, el logo creo que es de Kenny Lopez, sólo lo coloqué, hice el diseño y esas cosillas. ¡Cómo se hecha de menos tu blog, por cierto! snif. But, wait, are you working for DC now? Well, at least for that cover I did. 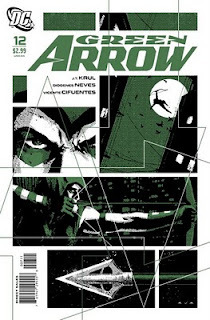 I really would like to see you drawing the Green Arrow or Batman someday. But not forget the Black Widow, please! This cover is Awesome with a capital A! When do we get to see some new sequentials? Cannot wait to hear some news about your next work! I have been a fan ever since your art blew me away in the pages of Immortal Iron Fist. Keep up with the AMAZING job!!!! I apologize in advance but I have to ask this stupid question. Are you going to take any commissions? Sorry, I had to ask. David, your silence is killing us! Any hints when we are going to hear something/anything about your next project?